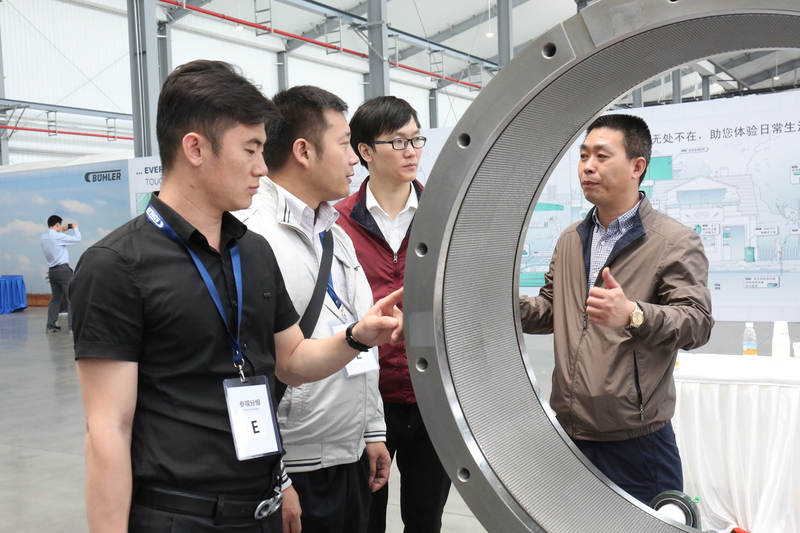 Changzhou (China), April 27, 2018 – With a three-day event and over 400 guests from over 30 countries, Bühler officially opened its latest addition to its global manufacturing and service network in Changzhou, China. The brand-new facility includes an R&D center and will mainly serve the fast-growing animal nutrition industry as well as the grain logistics business. On April 26, 2018, Bühler officially opened its new manufacturing and R&D center for the animal nutrition industry including solutions for livestock animals, aquaculture and pets as well as the grain logistics business, in Changzhou, China. The 200,000m2 green field construction is Bühler’s latest addition to its global supply chain and service network. It is a state-of-the-art manufacturing plant that meets the highest Swiss quality standards for the global animal feeds and grain logistic markets. The facility includes a comprehensive animal nutrition R&D Application Center over 5’200m2 spreading over four floors. It is operated by around 15 Bühler employees operating two pilot plants. One of them is devoted to the development of feed production processing technologies and the other is focused on grain logistic applications. These pilot plants will facilitate basic technology research and development as well as collaboration with customers for customized solutions. In addition, the R&D Application Center will serve as a major animal nutrition training center for customers and Bühler employees. “The combined offerings make this new facility a globally recognized competence center in animal nutrition and grain logistics,” says Johannes Wick, CEO of the Grains & Food business at Bühler. China is a significant growth market for Bühler. Its presence goes back to 1983. 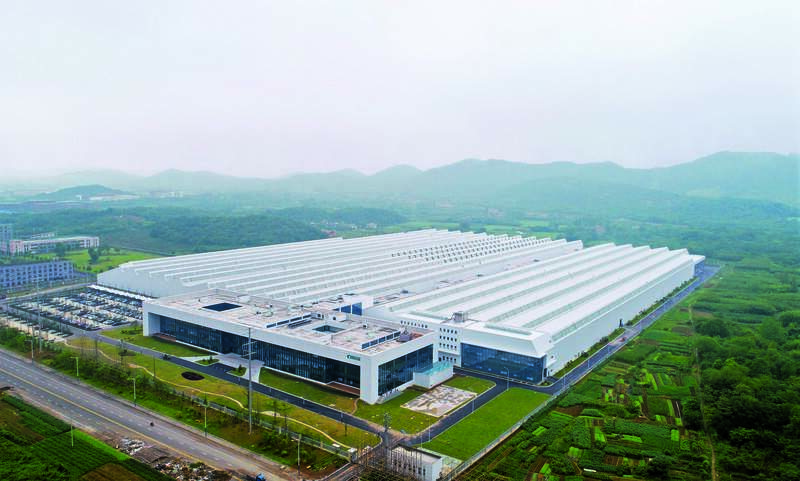 Today, the company employs over 3000 employees with multiple production sites located in Wuxi, Changzhou, Hefei, Beijing, Shenzhen, Xian, and Guangzhou. Bühler has positioned itself as a well-established player with significant market share in the Chinese and Asia Pacific region, generating over one-quarter of its turnover in this region. “This region has seen tremendous growth in the past years and we are confident we will see further growth. 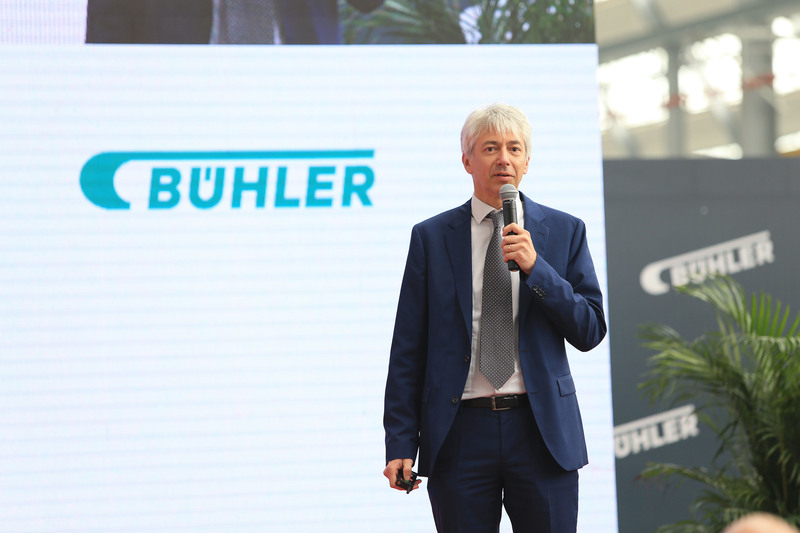 Also, our strong manufacturing base in China will further expand Bühler’s global supply chain, which is why we have established this brand-new manufacturing facility,” says Dieter Voegtli, President Sales & Services at Bühler. The three-day opening event attracted over 400 customers and partners from over 30 countries from all over the world. With the event, Bühler continued its successful series of the Networking Days with a specific focus on animal nutrition, bringing together key players in the industry. Top speakers from the animal nutrition business and top scientific institutions from China, Europe and the US presented the latest developments and their view of the future with regard to sustainability, animal nutrition, food and feed safety, as well as the impact of the Internet of Things on the animal feed industry. 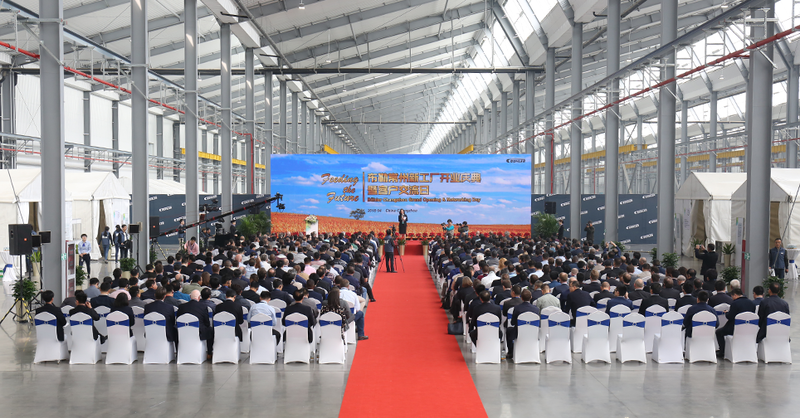 On April 26, the grand opening took place with pouring gold dust over the plant, which stands for a bountiful harvest as well as the morning sun that sets a new milestone. Major customers from China, Asia and other countries worldwide as well as key Bühler representatives attended the opening ceremony. Subsequently, the attendees visited the new manufacturing facility and its animal nutrition R&D Application Center as well as a large exhibition of products and services. 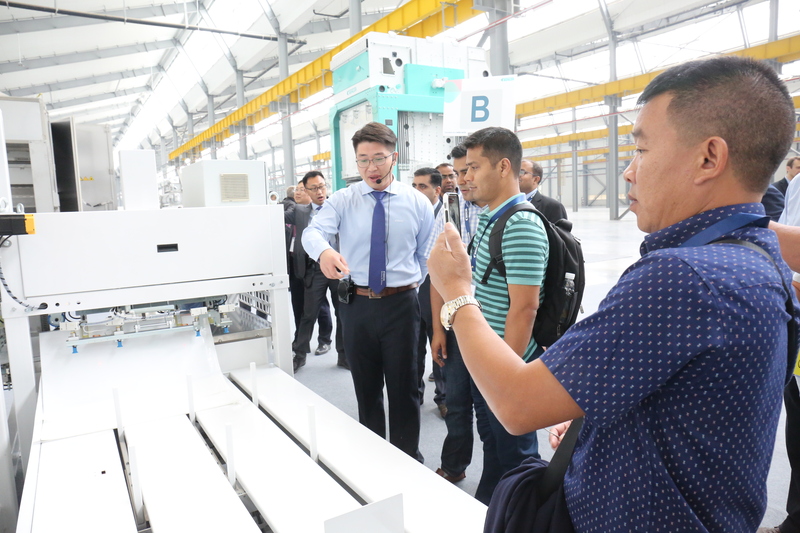 General Manager Shao Liping explained that the factory is not only equipped with the most advanced Bühler machines, but is also operated with the most modern production management systems. Tian Li, Senior VP of the Haid Group said: “Haid will continue to work with Bühler on new construction projects both at home and abroad. We put faith in Bühler’s manufacturing philosophy of always striving for perfection and its longstanding brand culture. With this R&D and manufacturing center, we expect to see continued growth and innovation from Bühler. 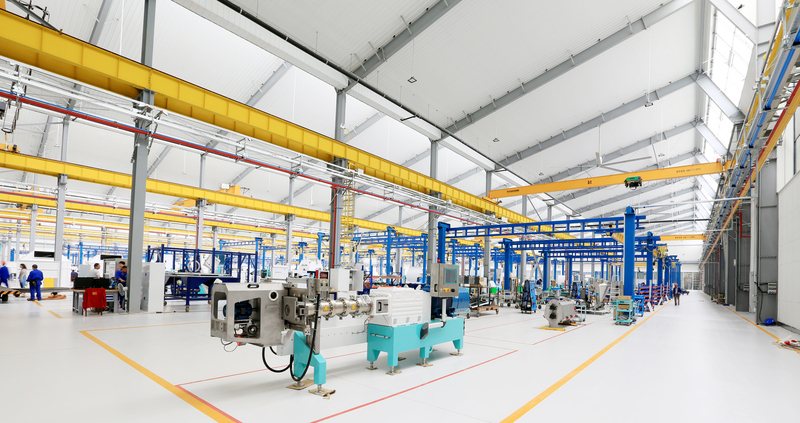 I believe Bühler Changzhou will serve as leading player to push forward industry equipment upgrading”.